The GOP prosecutor is having a pity party over the media finally telling the truth about his Benghazi farce. Can one big day with Clinton salvage his credibility? “These have been among the worst weeks of my life,” House Benghazi Committee chair Trey Gowdy told Politico on Saturday. It’s easy to see why (although he’s being awfully whiny to say so). In less than a month, the legitimacy of Gowdy’s committee collapsed under the weight of the GOP’s bad faith and talent for farce. Now everything’s riding on Thursday, when Hillary Clinton appears before Gowdy’s committee for what’s expected to be a long day of questioning, as the GOP struggles to make its attempt to indict Clinton for the 2012 killings of four Americans in Libya what it was supposed to be: a liability for Clinton, and not Republicans. The last month of drama is a great example of the way the media regularly forget what they already know, and has to learn it again to great fanfare: in this case, that the Benghazi committee was established to tie the tragedy around Clinton’s neck well into the 2016 presidential campaign, and thus damage her politically. There had already been seven investigations into what happened the night Ambassador Chris Stevens died at the less-than-adequately secured Libyan compound, and while they found fault with State Department process, they cleared Clinton, and the Obama administration, of the worst allegations about what happened. Nobody needed this investigation, which has spent at least $4.5 million and still counting, to learn what went wrong. But the discovery earlier this year that Clinton used a private e-mail server while at the State Department suddenly gave Gowdy’s partisan crusade new life and, for a time, obscured its intent. Since then, Gowdy and his staff have leaked a steady toxic stream of half-truths about Clinton’s alleged mishandling of classified information, more than once inflating interagency security reviews into “criminal” investigations targeting Clinton herself. The New York Times alone has had to make multiple corrections to stories that relied on misleading committee leaks. You could almost feel sorry for McCarthy when the ensuing backlash helped blow away his speaker candidacy: How could he get in so much trouble for stating the obvious? But the hits kept coming. GOP Representative Richard Hanna unhelpfully defended McCarthy for telling the truth: “I think that there was a big part of this investigation that was designed to go after people, and an individual: Hillary Clinton.” An ex-staffer told The New York Times that the committee had become a “partisan” investigation designed to hurt Clinton, not get the truth of the attacks. In the ultimate unraveling, Gowdy got caught tampering with an e-mail to make it look as though a Clinton associate outed an intelligence agent—which the CIA itself said hadn’t happened—and in the process, Gowdy himself outed the intelligence agent. 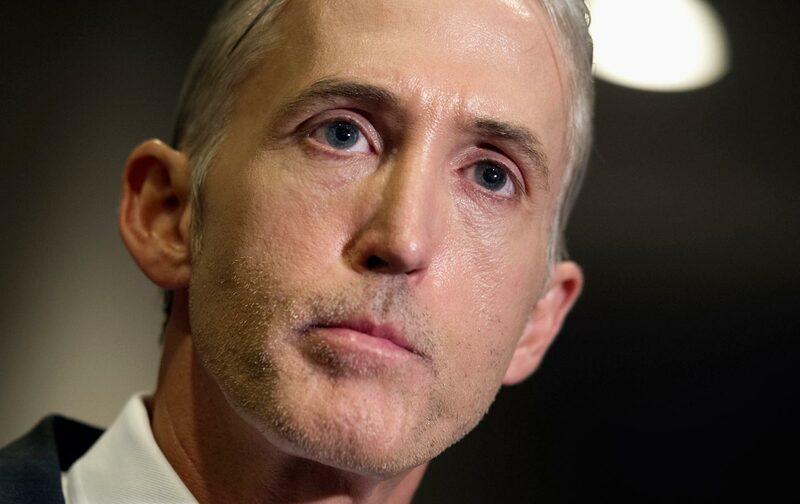 And on Tuesday Gowdy had to sever ties with the Stop Hillary PAC, which during last week’s Democratic debate ran ghoulish ads showing the grave of Ambassador Chris Stevens. You’d think someone purporting to run a fair, truth-focused investigation into the Benghazi tragedy would have the sense to keep his distance from something called the Stop Hillary PAC, right? But you’d be wrong. The basic facts remain: Clinton may be criticized for bad political judgment in using a private server, but the committee has produced no evidence that she ever used it to send classified material. As the State Department and intelligence agencies have scrutinized her e-mails in order to make them public, thanks to the committee’s success in making this seem like a matter of genuine national security interest, they have squabbled over whether some matters discussed should have been classified at the time, or whether subsequent developments mean they should be classified now. But these interagency disagreements would exist if Clinton used a Gmail account, or even if she’d kept all her messages at state.gov, as is now required; the dispute has nothing to do with her use of a private server, no matter how strange or Clintonian that may seem. It’s never been entirely clear to me what the real scandal of the private server is supposed to be. Is it that Clinton is a bumbler who’s so incompetent she entrusted state secrets to a bunch of Colorado stoners on a homebrew server? Or is it that she’s a conniving traitor who cares more about her own career than national security? It doesn’t much matter: Gowdy reports, you decide. In the end, Gowdy’s crusade only got as far as it did because the Clinton-hate industrial complex in the mainstream media is primed to believe the worst of her—and is then shocked when it turns out not to be true. We saw this at the Democratic debate last week: Pundits appeared stunned that the Clinton who showed up looked nothing like the parody so well played by Saturday Night Live’s Kate McKinnon. If the same Hillary Clinton shows up Thursday, Trey Gowdy’s “worst weeks” will continue.